Sarah and Jon were blessed with a beautiful sunny spring day at their wedding on saturday, which was a very welcome sight after a long, wet south west winter! The pair celebrated their wedding at Sarah's parents new home in Roelands, with Jon and the boys getting ready in one side while Sarah and the girls were in the other. After the wet weather saw the end of the plan to have the ceremony at the local park (thanks to rather a lot of mud!) it was moved to the backyard, which turned out to be a lovely spot for it with the natural bush and river in the background. It was an early start for us, arriving at 10am to capture all the preparations before the 1pm ceremony, but luckily the trees along the river at the house and in the park provided plenty of shade from the bright midday sun. Proof that you don't have to spend big to have a lovely wedding, Sarah DIY'd the styling for the day taking inspiration from google and instagram, and the rustic browns, whites and plum purples looked lovely in the garden setting and against the boys' grey suits. The bouquets created by Eaton's Fresh Floral Studio also suited the style perfectly, as did the cake that Sarah's cousin made. Sarah looked like a princess in her Tuscany Bridal dress (which she managed to pick up second hand on Gumtree! ), and Gemma Collins and Tianna Oakley finished off her look perfectly with stunning hair and makeup. When Sarah enquired about her wedding we bonded over dogs, and as we got to know each other in the months leading up to the wedding we discovered just how important a part of her life they are. How perfect then that she and Jon could get married in a spot where the dogs could be part of the day too! Filming the day as well as covering the photography, we got to learn a lot about the pair and for the first time I discovered the meaning of "swipe right" - and guess what - it can end in marriage! After a lovely ceremony and photos at the park, Sarah and Jon impressed their family and friends with a choreographed first dance before everyone enjoyed a yummy buffet and drinks under a marquee in the garden. 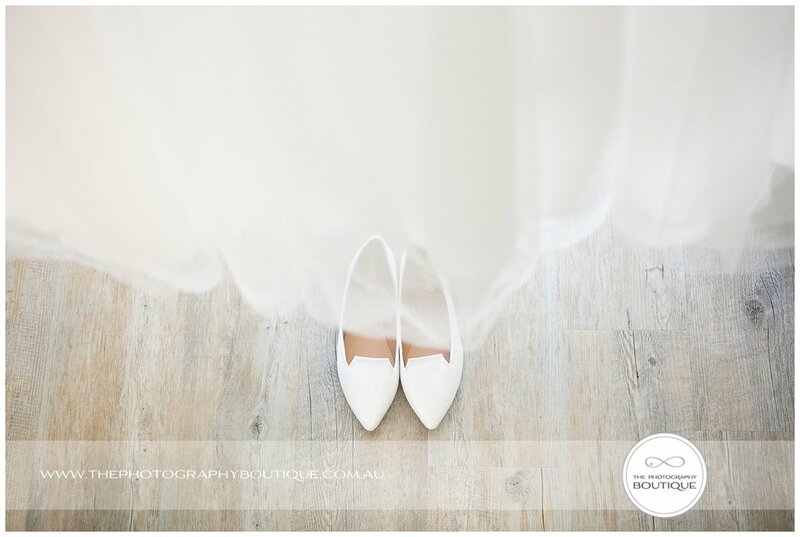 A perfectly simple and lovely way to start their new life together. Older PostSilver at the AIPP National Photography Awards!